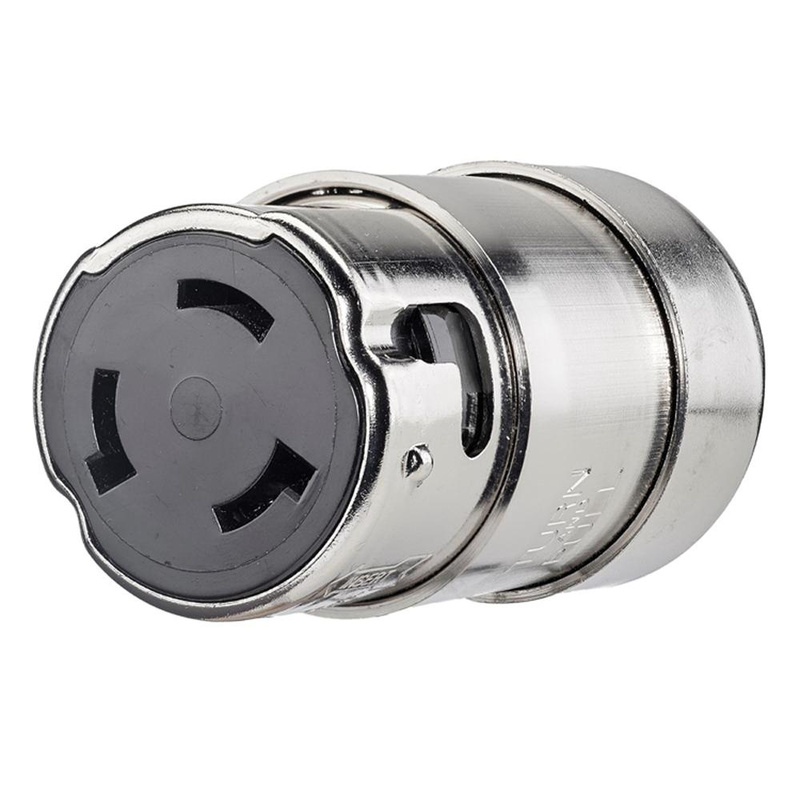 Hubbell-Wiring Twist-Lock® 4-Wire, 3-Pole polarized, corrosion-resistant, standard replacement connector body features nickel plated brass body, heat-resistant thermoset interior and combination of metal and rubber cord grip, which provides superior strain relief capability. It works at voltage rating of 125/250-Volts and current rating of 50-Amps. It is suitable for marine wiring devices. Connector body is UL listed and CSA certified. * Inventory displayed is accurate as of 04/25/2019 05:40 EDT.